well, poop. but i figured it was okay, at least i hadn't gotten shut down altogether, right? because those sneaky fuckers at run disney decided to completely disregard the entire west coast and put the post up at some ungodly hour yesterday - like 4am. i happened to wake up at 6, saw it on my phone, and by then...the meet-up was already filled to capacity. i heard later that out of the 50 available spots, 22 of them were taken by one running club. crazy coincidence, huh? not shady at all. rumor has it that they had an "in" at disney who gave them the heads-up ahead of time, but they're denying it. oh, well. it just wasn't meant to be, i suppose. i'll just try again in august for the meet-up before the disneyland half. although i was a little peeved when i expressed my disappointment on the run disney facebook page, only to find later that my (non-vulgar, i promise) comment had been deleted. i guess negative views aren't magical enough to stay put. so with the girls out of school for the presidents' day holiday, i decided to make use of the jug of fresh lemon juice that the teen had squeezed for me from a crapload of fruit she picked the back yard. i first consulted this recipe i'd saved, but i wanted something super delicious. so i tweaked it a little. i took an 8-oz. block of reduced-fat cream cheese and mixed it with about a tablespoon of lemon juice, a few drops of vanilla extract, and about 1/4 cup of sugar. 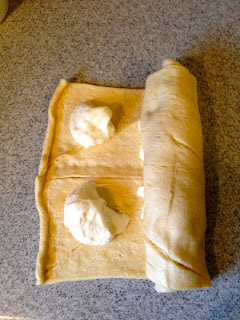 a tube of crescent dough, unrolled and seams pinched closed, came out to join the party. 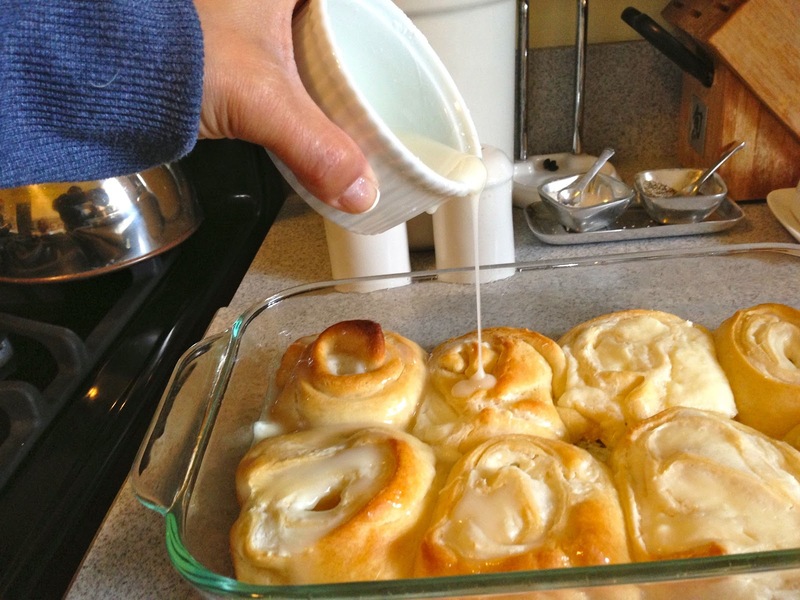 i melted a little butter, brushed it on, dropped dollops of the cream cheese mixture on the dough and rolled it up. 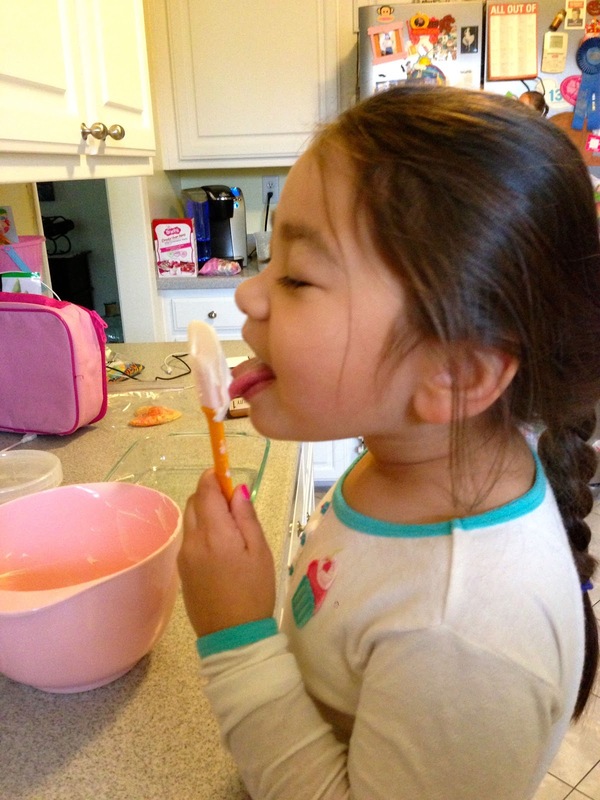 the bean decided to "help" by cleaning off the spatula for me. the concoction was pretty gooey and not very easy to slice, but i managed. i put the pieces into a glass pan sprayed with a little pam and popped it into my oven, already preheated to 350 degrees. 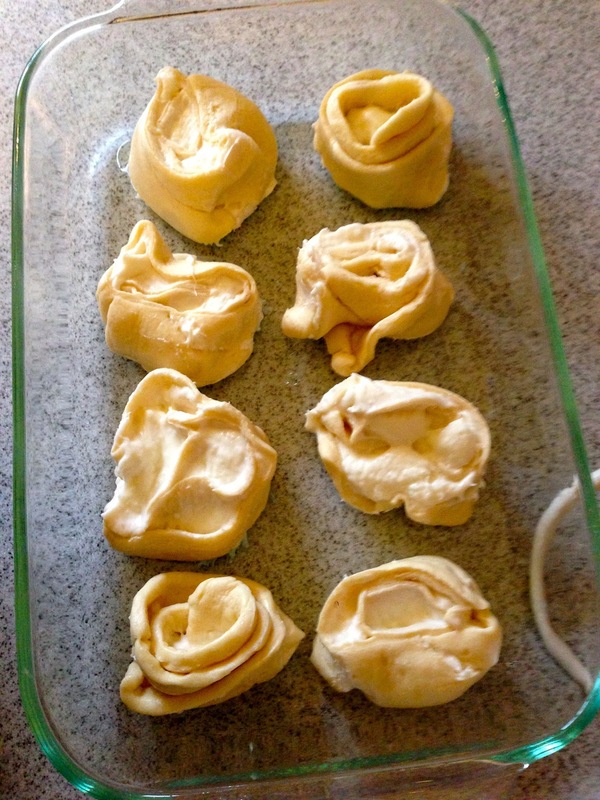 when the rolls were browned to my satisfaction (about 22 minutes later), i brushed the rest of the melted butter on top. then 1/2 cup of powdered sugar, a tablespoon of lemon juice, a teaspoon of milk and a tiny bit of vanilla extract mixed together nicely for a glaze to drizzle on top. 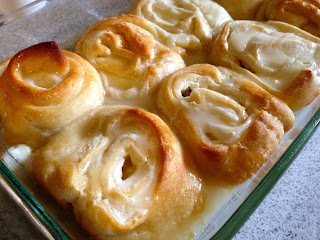 voila - my "i didn't get into the princess half meet-up so eff you run disney" lemon cheesecake rolls. not that i'm bitter or anything. newp. 'Pin' the recipe. I guess it's good, not fully made from scratch since you used dough from a can. j/k. LOLOLOL. This sounds delicious. BTW, b/c of you now I have a can of pre-made dough. Makes my life so much easier. Will definitely make this later.